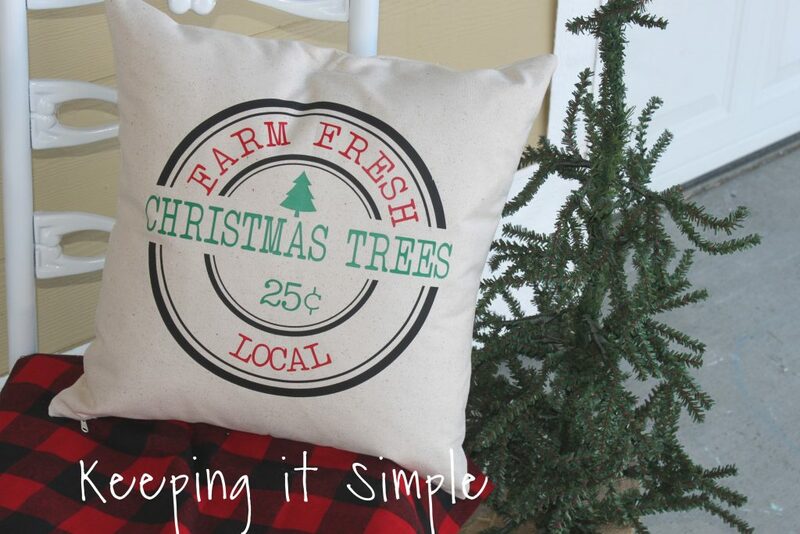 I love making Christmas pillows! 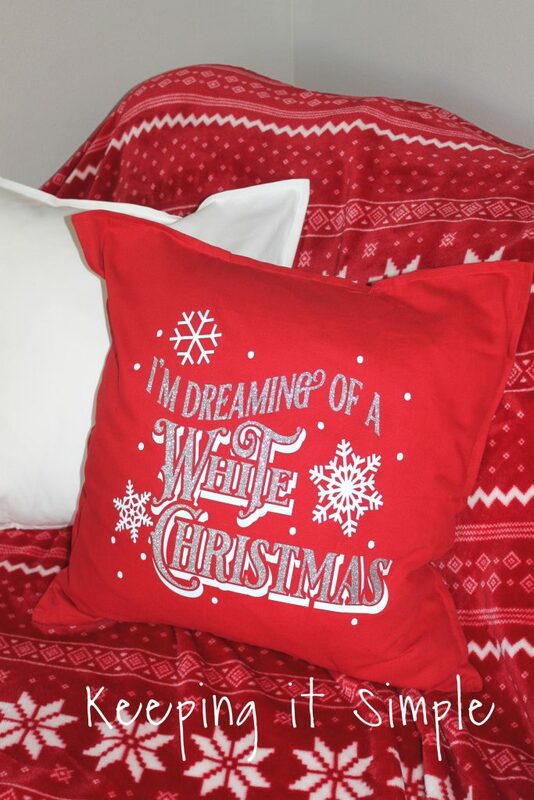 There is just something about snuggling up with a nice blanket and Christmas pillow that really gets you into the mood of Christmas :). 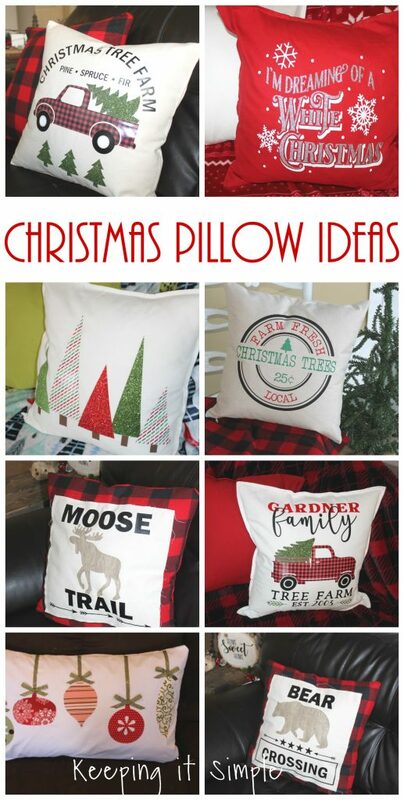 Since I love making pillows, I made several Christmas pillows and I wanted to show you all of the Christmas pillow ideas that I came up with. For most of these pillows I used heat transfer vinyl and my heat press, but you can easily use an iron instead. For all of these pillows, I used my Silhouette CAMEO to cut out the designs. When using the heat transfer vinyl, I mirrored the image and placed the shiny/plastic side down onto the mat when cutting. In between the layers, I used a heat press cover shirt or a multi use paper sheet, both work just fine. For the pillow covers, most of the covers are from Ikea or Hobby Lobby. A few of them I made out of fabric. 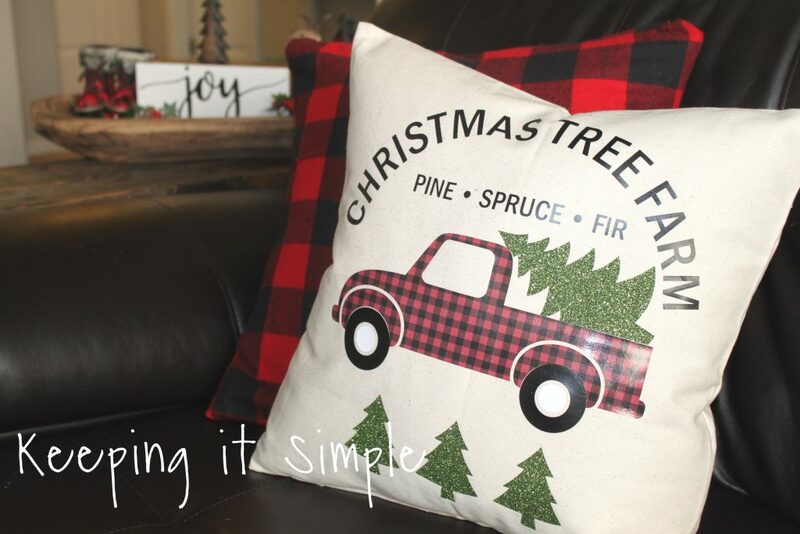 Here is a quick video to show you how I made this Christmas pillow using an iron. 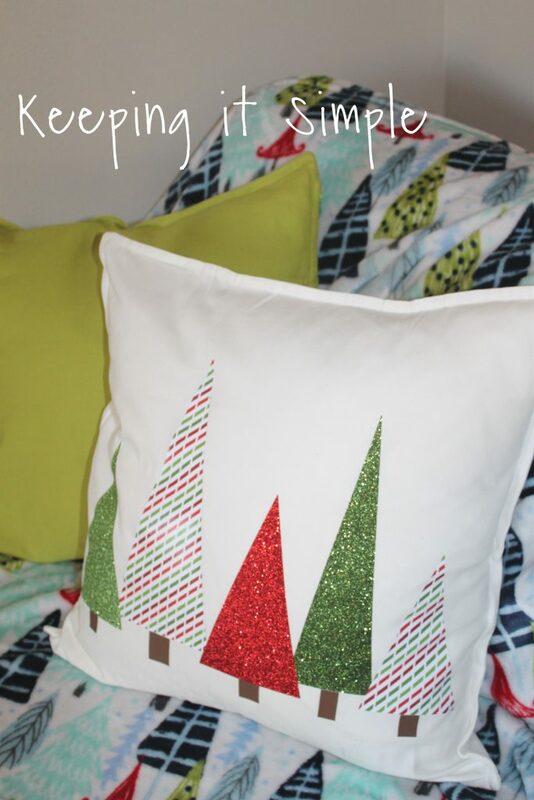 To see the full tutorial on how to make this pillow, check out this post. 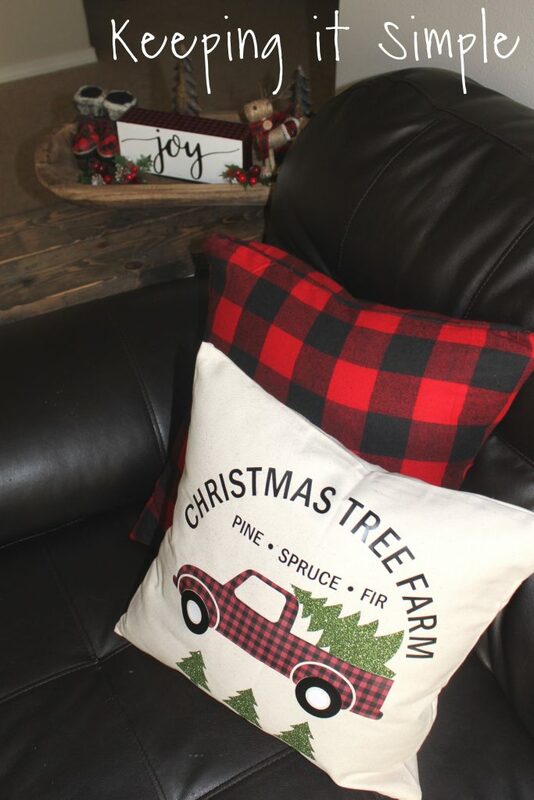 For this super fun Christmas tree farm pillow, I used 3 different types of heat transfer vinyl. 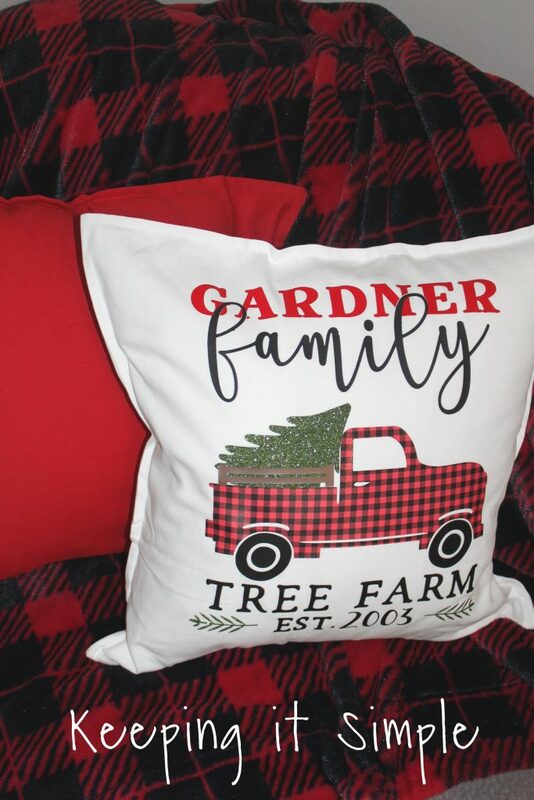 For the truck I used a red buffalo plaid vinyl, for the trees I used a glitter HTV in dark green and then an Easyweed HTV in black. For the next pillow, I used my heat press to make it. This one is also reversible :). 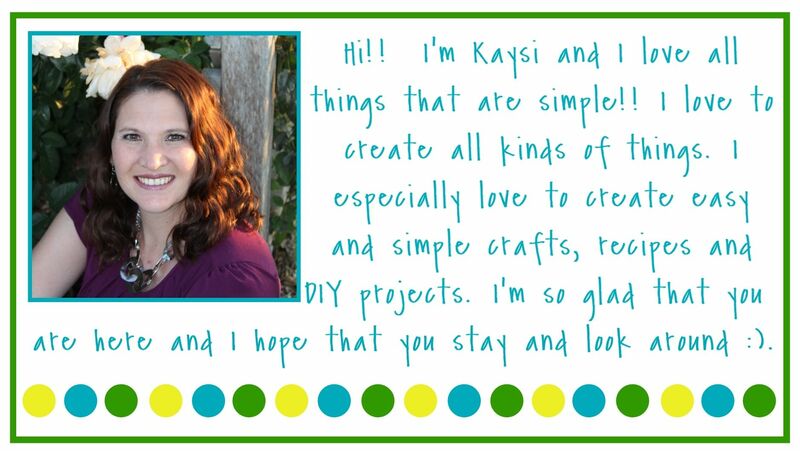 Here is a quick video to show you how I made it using my heat press. To see the whole tutorial on how I made this pillow, check out this post. I love how this one turned out! It looks so good on my front porch. For this next one, I wanted something elegant and pretty. So I went with a glitter HTV in silver and then some Easyweed HTV in white. I love how it turned out with the red pillow cover (which is from Ikea). You can get the design for this pillow here. The glitter HTV is my favorite! I love it so very much! 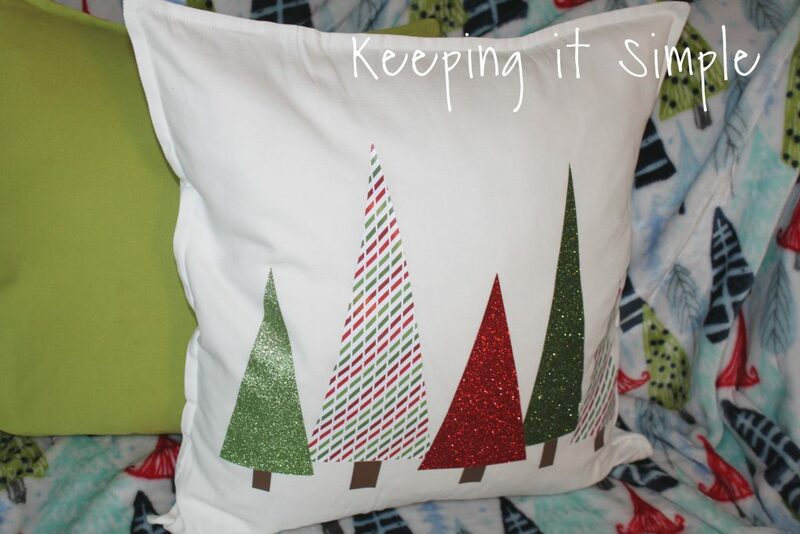 I love the colors of this pillow, I just love red and green together :). 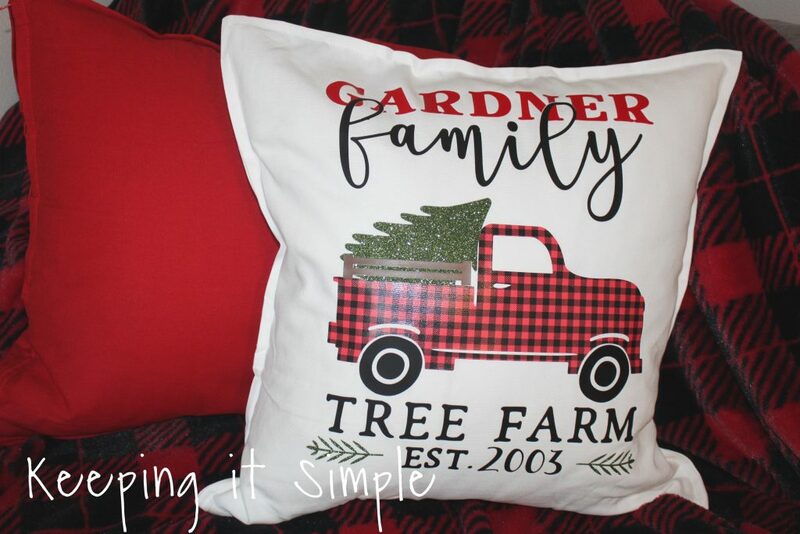 I wanted to make another Christmas tree farm pillow but this time I wanted it to be personalized to my family. I found this super cute design and I knew that I needed to make it! 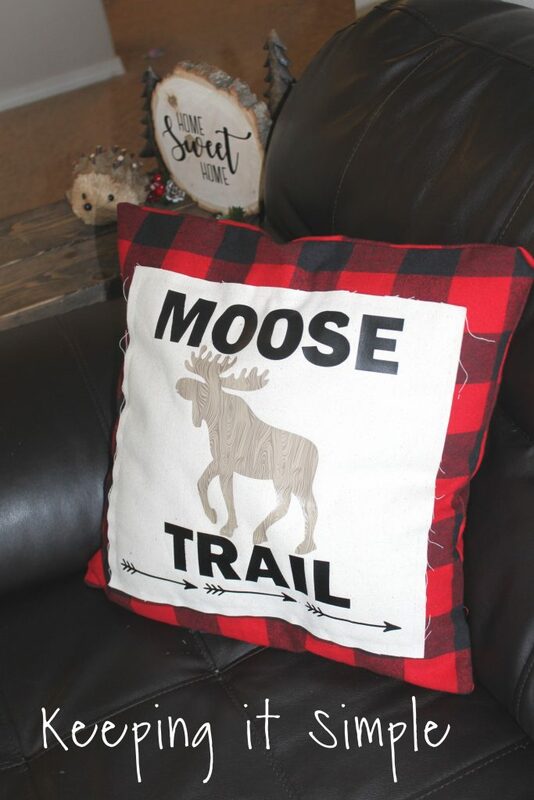 I used the bright red buffalo plaid vinyl for it and then the dark green glitter HTV. I also used the Easyweed HTV in black, chocolate and red. You can get the design here. 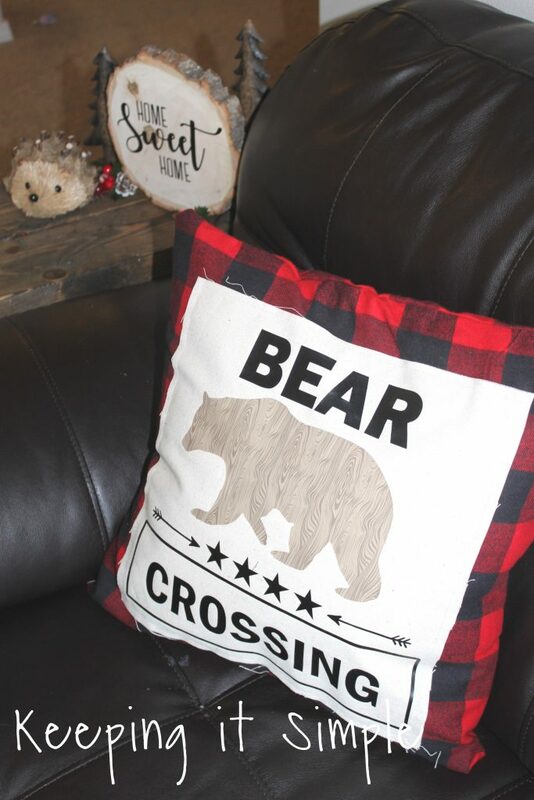 This one may be my favorite pillow that I have made, I just love that it’s personalized for my family :). 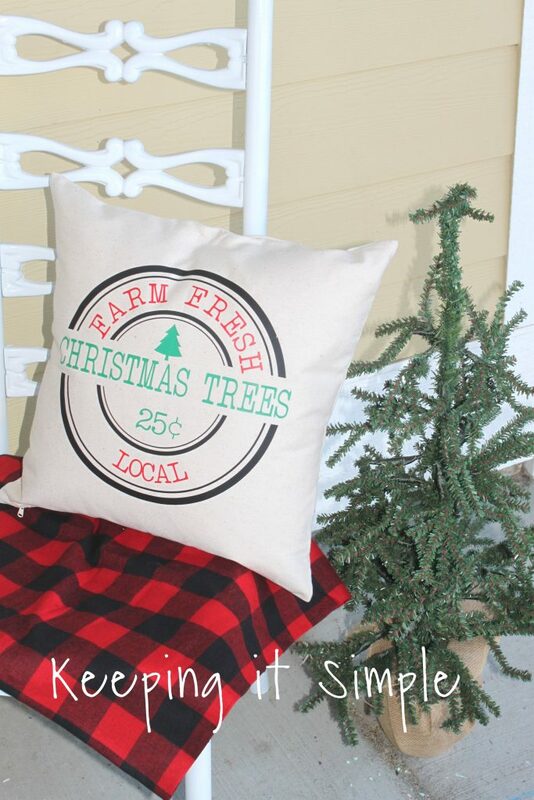 These next two pillows are perfect for winter or Christmas! I love the woodland creatures and how these turned out! For these two, I actually sewed the pillow. For the full tutorial on how to make these pillows, check out this post. For this last pillow, I made this one with fabric and sewed it onto the pillow. I love that you can use whatever fabric that you want! It’s so fun! For the full tutorial, check out this post. 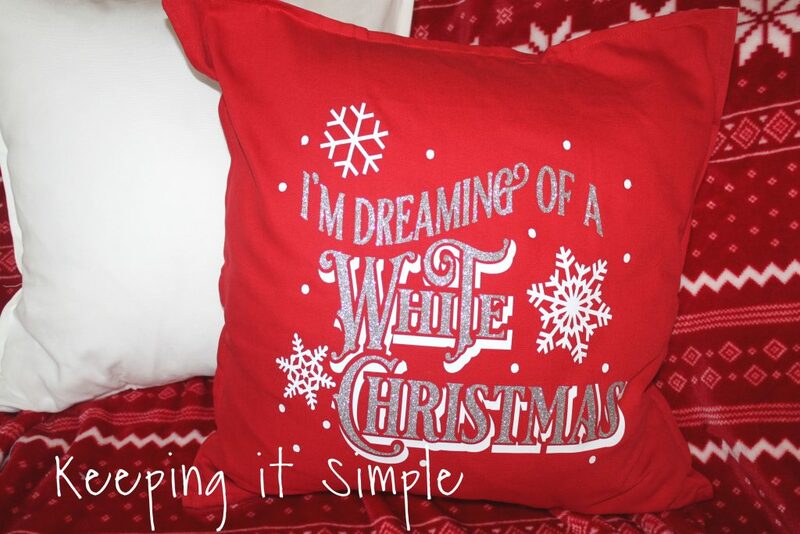 Make sure to check out my other Christmas ideas and pillow ideas!